It would be fair to say that the infamous Beat Generation are enjoying a mini renaissance, they seem to crop everywhere at the moment, not just cinematically in Howl and On The Road but in the interviews with Patti Smith, essays by James Franco and generally permeating contemporary youth culture. In fact the latest revival of the period and movement seems to be both manifested and inspired by the much ridiculed hipsters of today. The youthful incarnations of Allen Ginsberg, William S. Burrows and Lucien Carr dress like hipsters, look like hipsters and exude that impressive desire to break the mould of convention but be wilfully pretentious about doing so. The Beat Generation are proto hipsters, the original blueprint for today’s generally disappointing attempts. While today’s youth may think they’re on the cusp of greatness, the bastions of a new movement, rarely are they able to shake their inhibitions to make a telling difference in the history books of tomorrow. The exceptional amongst mediocrity of man are the select few who conjure an exasperating excitement as they realise the significance of their actions, The Beat Generation are one such group, a trait which Kill Your Darlings succeeds in expressing with pulsating rhythm. 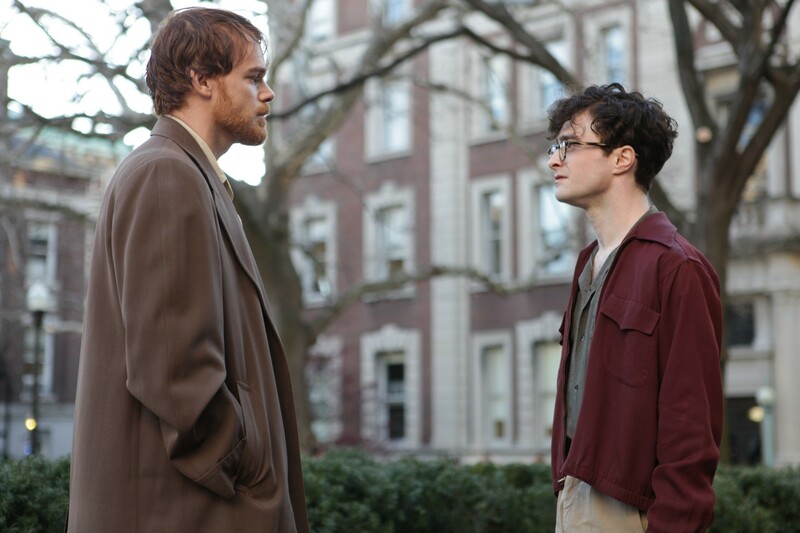 Starting from the very beginning, Kill Your Darlings follows a youthful, naïve Allen Ginsberg (Daniel Radcliffe) on his journey of self-actualisation at Columbia University. 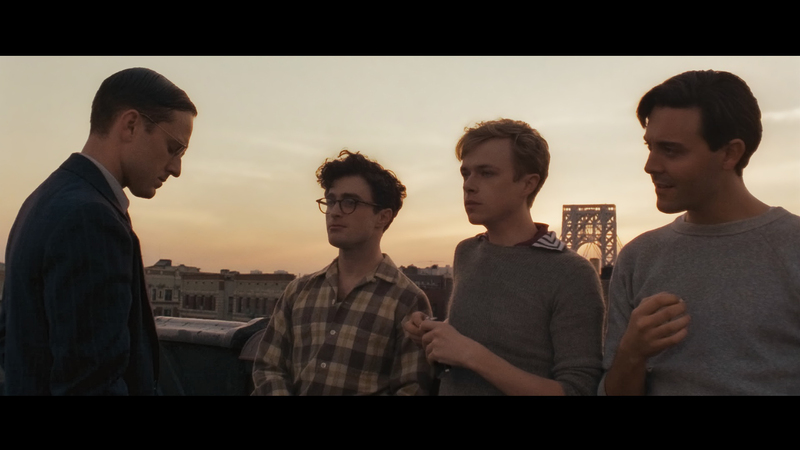 A chance encounter with the enigmatic, confident and dangerously enticing Lucien Carr (Dane DeHaan) opens Ginsberg to a whole new world of postmodernist thinking about the arts from brash Jack Kerouac (Jack Huston), oddly amusing William S. Burrows (Ben Foster) and resentful failed professor David Kammerer (Michael C. Hall). With such a talented cast populating bold on screen personas there’s a real danger that the characters cannibalise themselves, sacrificing the cohesive narrative for a chance at grabbing the applause. Debut director John Krokidas, however, manages to find equilibrium, giving the worthy characters distinct personalities that converge on the collective goal of retelling the birth of Beat. The one reserved constant is Radcliffe’s Ginsberg, while he grows out of his demure shell he never reaches the eccentricity of his co-stars, a conservatism that doesn’t reflect on Radcliffe as lacking or wooden, but instead anchors the film allowing others to flourish. If Ginsberg is the nuts and bolts that hold the structure together, than DeHaan’ Carr is the architect who brings all the elements together. DeHaan is superbly repulsive and alluring in equal measure, his manipulative showmanship exterior is portrayed with a cracked confidence, the fractures hinting at the insecurities lurking below. The growth and exploration of Carr is one the film’s major coups, singling the emergence of a talented young actor in DeHaan. Krokidas’ realisation that it would be near impossible to make a character driven film without losing focus on the movement or forgoing other characters means that the Beat beginnings and principles are presented in a digestible format. ‘The New Vision’, as the group labelled themselves, are worthy of anthologies of analysis and study meaning Kill Your Darlings portrays a watered down thesis for the ideas. Experts will no doubt lament the lack of in depth exploration but, as we saw with the lacklustre On the Road, it’s a remarkably tough area to tackle without boring or confusing the audience. Kill Your Darlings covers the basics leaving the audience to go away from the film and explore the life works of Ginsberg and co. The frantic, pulsating emergence of jazz parallels with Ginsberg’s literary awakening, at times the foot tapping soundtrack works perfectly in tandem with the frenzied hammering of the typewriter that’s blasting traditional prose away. These hasty montages work best on the cusp of the surreal, moments of genuine oddity are weak and inconsistent due to their sporadic uses. Other times the film takes on much darker terms, the shifting vices of each of our protagonists bluntly forced on the audience is both striking and emotionally sobering in the contrast to the earlier care free times. 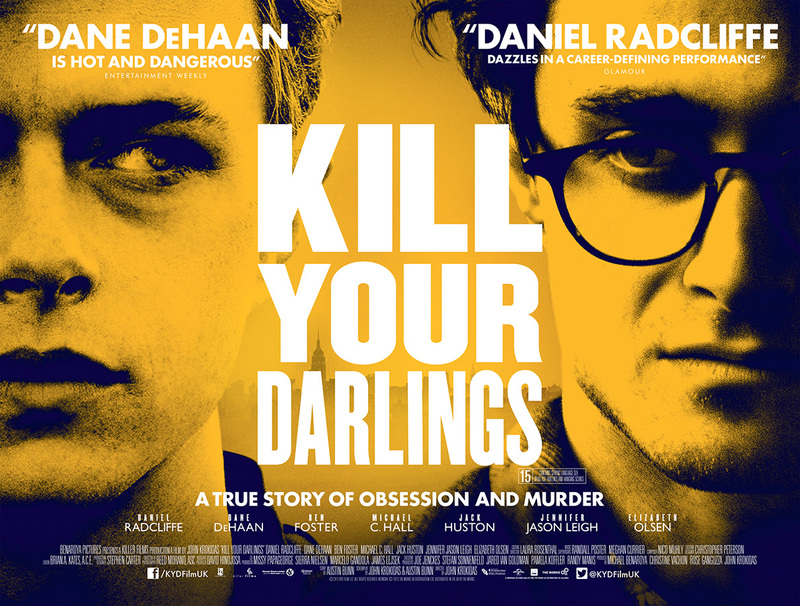 Kill Your Darlings successfully explores the Beat Generation with a blank canvas in regards to the audience’s knowledge, but it struggles with the weight of its second narrative- the implicitly inappropriate homosexual relationship between Carr and Kammerer. The first two thirds of the film are overtly focused on the characters and their collective movement, leaving the final third to rush through a murder mystery thriller that’s sprung on audiences without any prior warning of its overall importance. This second story is an intriguing one, Michael C. Hall’s bitter, reserved portrayal of Carr oozes with raw emotion that combines nicely with DeHaan’s smutty, insecure Carr, the problem is that there’s not enough exploration before it’s all too late and the game is up via Ginsberg’s inquisitive research. In a way this late drama adds twists and turns but the overriding feeling is that Krokidas has underdeveloped it, using the thriller elements as rounded, exhilarating climax without prior thought to the groundwork needed, a whole film could have been dedicated to a story of its magnitude. The most glaringly poor, and downright bizarre, element of Kill Your Darlings is the soundtrack beyond the mood setting jazz. Contemporary acts Bloc Party and The Libertines make out of character appearances achieving nothing but shattering the time period illusions. Elsewhere moments of sentiment are cheapened by the unnecessary use of soap opera-esq piano accompaniments, it’s a dud note of amateurism in an otherwise polished end product. The Beat Generation have long held the public’s imagination and interest since their emergence, never more so than now, but rarely has film done them justice or managed to capture the essence of the time. To say Kill Your Darlings has broken trend would be an overstatement, but what debutant director John Krokidas does succeed in doing is making an enthralling tale about the artistic avant-gardes that’s accessible to the masses. Each character’s unique personalities are allowed to breathe; giving insight into what influenced their now revered work and style. The film tries to tackle too much material in its average running time, fortunately it doesn’t collapse under the weight of expectation, instead giving an engrossing drama that’s a worthy introduction to some of the 21st Century’s exceptionals. ← Why Are Films Based on Video Games Universally Awful?